2019 - The Year Of Gold or Bitcoin? 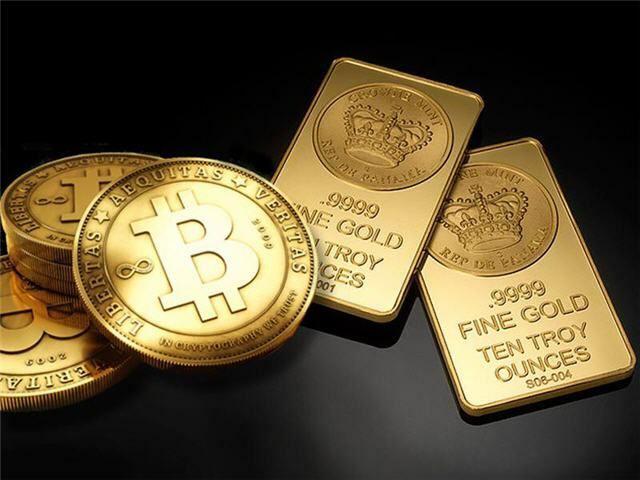 You are here: Home / Buy Gold / 2019 – The Year Of Gold or Bitcoin? Gold and Silver have been in an extended “winter” for investors and speculators. In that time, Bitcoin has enjoyed a meteoric rise and significant fall. We haven’t been writing much over the “winter” for that reason – just nothing to get excited about. 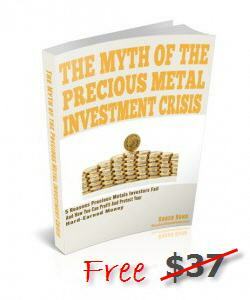 Precious metals investors are, or should be, used to long bear markets. What most didn’t expect, though, was this most recent one to last so long. After all, global debt is out of control and being monetized. Bloomberg just reported this morning that the US Treasury is set to borrow $1 Trillion for the second year in a row to finance the deficit. ONE TRILLION. With a “T”. It is our belief that a very few Americans could even write the number ONE TRILLION quickly and accurately. That’s 10 to the 12th power. Our old buddy Simon Black is reporting today that Fed Chairman Powell’s most recent comments have caused expectations of interest rate increases for this year to fall to ZERO. T-Bill rates and mortgage rates are already dropping. Global leaders are calling for interest rate CUTS by next year for sure. One would think this would add up to GOOD NEWS FOR GOLD, and even Bitcoin, since younger generations who understand the effects of monetized debt seem to believe in a digital solution, uncontrolled by government. Gold’s outlook for 2019 (and Silver as well) seems to be upbeat. Consolidations in the mining industry seem to confirm this (Newmont just bought GoldCorp who itself has gobbled up many a smaller company). New discoveries of precious metals have plummeted as both the “easy stuff” has already been found and the crushing bear market has caused exploration funds to dry up and precious metal exploration companies to restrict nearly all activity just to avoid bankruptcy. Recently, Gold has pushed up about US$1300 per ounce and been able to hold for the time being, something it wasn’t able to do for quite some time. Bitcoin and other so called “crypto” currencies are somewhat stabilized with most ICO’s and non-top tier names decimated. Speculation as to which ones even survive is a fool’s errand almost. The entire market seems to be waiting to see what regulators will do regarding ETF’s etc. Somewhat ironic and even comical considering that most “true believers” seek out crypto as a way to be outside of government control. If regulators rule on allowing crypto ETF’s then the market will likely see money flow in and excitement push up prices of those that are not permanently turned to ashes. And, even if your crypto of choice didn’t crash and burn, many exchanges or other trustees of “keys” have been hacked or, in one case, crypto lost forever when a single executive of a firm died with sole knowledge of the private keys needed to transact the crypto. We are not registered investment advisors so we won’t tell you what to buy, however we will share with you what we are doing. Regarding digital currency, we are sticking to Bitcoin for right now, held in offline storage and in possession of our own keys. With regard to precious metals, we are again allocating new money to Gold & Silver, primarily purchased through and stored with the Hard Assets Alliance. Whether you store Gold in US vaults or abroad, that’s a personal preference. The Hard Assets Alliance can accommodate your needs in a variety of ways, learn what they offer by CLICKING HERE if you are interested.